A main cause for the hindrance in the extensive use of electric vehicles is battery charging. In the recent past, studies aimed at rapidly increasing the performance of batteries have ended up in expanding the range of electric cars to a few hundred kilometers. However, the charging of batteries necessitates more time, rendering the vehicle to be connected to the charging station and thus stationary. Although, this might not pose any difficulty for urban use of electric vehicles as the battery is charged at night, it may be difficult while planning for a long trip. The inevitability of long and frequent stops might render the trip highly uncomfortable as there would be a constant worry that the battery may have inadequate energy before attaining the destination. Researchers at the Politecnico di Torino have now developed a prototype for overcoming the difficulty using a totally new charging system. Known as POLITO Charge While Driving, this system enables recharging of cars while traveling on highways, provided with dedicated systems enabling charging of battery while on the move. The system will avoid the need to stop for recharging batteries, thus enabling to attain the destination with the battery more charged than while starting the trip and ready to be used on secondary roads in which there is no such system. Consequently, the system will considerably decrease the volume and potential of batteries when the system is provided in a particular network of highways and roads. The system has been created by a team of electrical engineers from the Department of Energy of the Politecnico di Torino, with coordination from Professor Paolo Guglielmi and Professor Fabio Freschi. The team comprises young researchers Vincenzo Cirimele, Michela Diana, Riccardo Ruffo, Alessandro La Ganga and Mojtaba Khalilian in collaboration with Centro Ricerche Fiat and Tecnositaf. 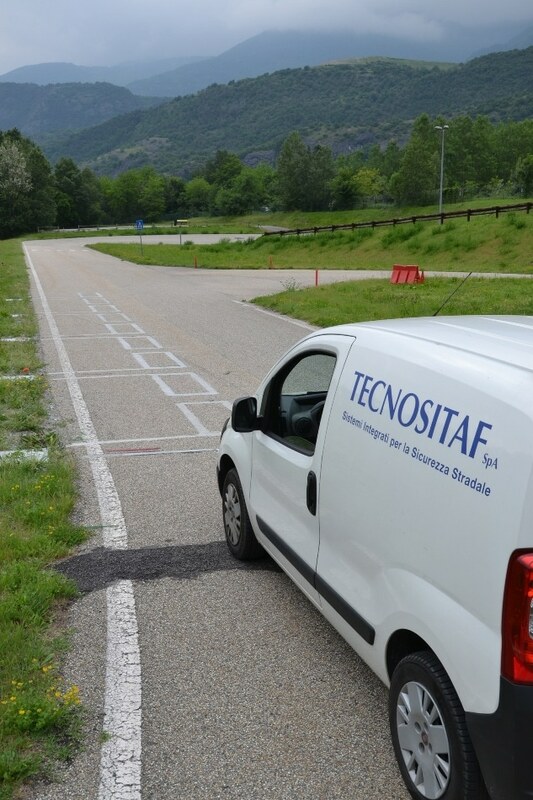 The investigation of the system will be performed on the test circuit in Susa very near to the Turin city. The test circuit was created through a research initiative from the Politecnico di Torino along with collaborations from 24 international partners of the European project FABRIC, that is, Feasibility analysis and development of on-road Charging solutions for future electric vehicles. The basis of the prototype is a technique known as Inductive Power Transfer (IPT). A number of automotive companies are focusing on this technology, and globally, many such prototypes have been developed. The inductive transmission of electric energy by means of resonant inductors is the secret behind the working of the systems. The concept is identical to the one through which we are able to cook on induction cooktops. As the technique eliminates the need for any electrical contact, it is highly advantageous considering its ease of use and safety. It considerably decreases the need for regular maintenance, avoiding the need for external installations (e.g. charging columns) that are more prone to vandalism or accidents. Another step using the systems has been carried out by means of the prototype equipped at Susa, which eliminated the need for the charge to be carried on a stationary vehicle while being stopped or parked: the application, known as dynamic IPT, is based on the same technique expanded at the time of movement of the vehicle. A basic IPT system unit in case of automotive applications comprises of a fixed coil, or transmitter, located below the road surface, as well as a coil, or receiver, equipped in the vehicle. The Susa test circuit is equipped with 50 transmitting coils, sending power to receivers equipped on light commercial vehicles. Within a short period of time, the spread of the dynamic IPT will absolutely avoid the need for recharging stops and will considerably decrease the needed capacity of batteries equipped on the electric vehicles. When used on fixed routes (e.g. public transport) the application of dynamic IPT will nearly lead to complete elimination of batteries, the existence of which will be merely for backup purposes. Developing such systems is hence a thrilling challenge for electrical engineers and might be a critical turning point for wide usage and development of mobility based on substitutes for fossil fuels.